Schoolyard dynamics need to change OSCAR LOPEZ ARCHIVE. It is not simply that they do less sport, but they also stop playing at a younger age and eventually they end up paying with health problems that could have been prevented with regular physical activity. This statement is backed by various studies showing that 80% of girls do not do the level of sport advised by the WHO and that 70% of young woman stop playing sport when they reach adolescence. 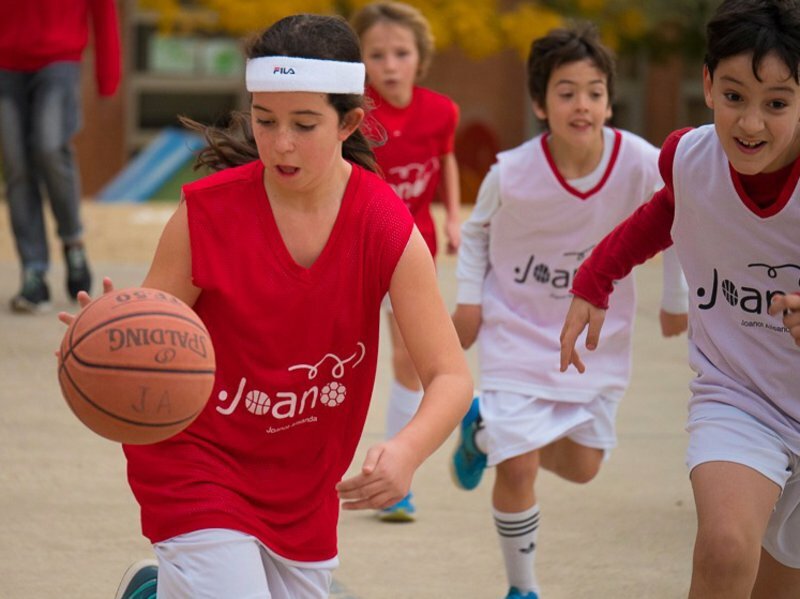 One of those surveys was carried out by Barcelona’s Sant Joan de Deu Hospital and published in the most recent FAROS report on educational failure called Health and girls in sports. The idea is simple: it is not just a question of getting young girls into sports – at six years of age, 6.9% more boys are involved in sporting activities than girls – so for those girls who do, then we must find ways to ensure that the practice remains attractive as they grow. The transition from primary to secondary is essential, since it is at this point that 13% of girls give sport up against only 5.9% of boys. By the time they reach 18, this has plummeted and just three out of 10 are still involved in sporting activities. The same study shows that there has been at least some improvement since the last Sports Council report in 2010. “We are starting to see a social awareness regarding the importance of sport in long-term health,” says the specialist in sports medicine, Eva Ferrer, one of the coordinators of the FAROS report. The study also claims that the variety of sports available also has an influence. Often, cultural values and stereotypes end up influencing the choices made by girls. “The fact that there is now more visibility of female athletes is helping, but it is important that there is more diversification. It seems that girls are not won over as much by competitive sports and need options to choose other play-like activities,” Ferrer insists. In this regard, there is a need to consider the school and the family as the two basic pillars in the promotion of sport among girls. “We must rethink the schoolyard. We need to put aside the image of the traditional sports area with goals and basketball hoops,” insists Ferrer, who argues that teachers need to develop a proactive attitude against inequality. “What is needed is to lessen the focus on activities associated with traditionally masculine culture and promote values and activities traditionally associated with a female cultural model,” says the report. Similarly, we must rework the family dynamic. “The idea is to create an open choice of possibilities and reject social conditioning. Why should seeing a girl doing martial arts be an exception, or a boy involved in dance?” asks Ferrer. There is a lot at stake. Because sport with youngsters has more than an immediate effect. It is also an investment in the future. There are numerous studies that have shown that in the long run it reduces the risk of cardiovascular disease, diabetes, hypertension, osteoporosis, and even some cancers. It also has psychological benefits, for anxiety, stress or depression. In this regard, experts insist that “it is essential that sport becomes a habit because it is proven that activities for children will ensure more physical activity once that young boy or girl reaches adulthood,” and this is key to family activities. “Walking or hiking is simply a matter of willingness,” said Ferrer. FAROS Sant Joan de Déu is a platform that aims to provide families and professionals in the field of health and education with quality information about health and the wellbeing of children. The platform offers more than 1,000 health suggestions, classified by age and themes, such as food, learning and diseases. Once a year it publishes a report analysing a particular aspect in depth. This report is the 11th that has been carried out so far.